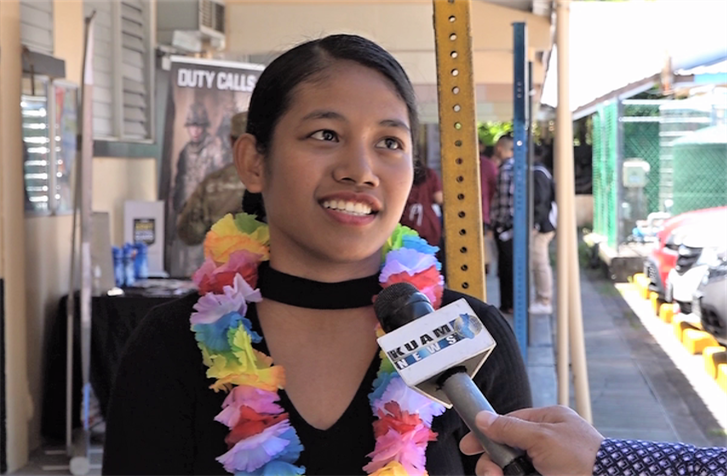 Job fair offers JP Torres students career access - KUAM.com-KUAM News: On Air. Online. On Demand. It's an event that gave students the opportunity to interact with professionals and explore career interests and other career paths that they may not have considered before. "Access Your Career Pathway," is the theme for this year's job fair at JP Torres Success Academy in Santa Rita. Unlike the traditional career days that other educational institutions organize, the job fair committee team is taking a different route to better serve their student population. T-Memory Rechy explains why the job fair is the evolution of career days. "The difference here is we get to turn out applications show them our resumes which gives us a better chance of getting hired compared to other people out there cuz we get to respond to them face to face they get to see what's good about us," she said. JP Torres is an adult high school that offers an accelerated curriculum toward graduation. Students range from the ages of 17-21 who complete all educational requirements between the school year. Representatives from the military, construction companies, the American job center, and the Guam contractors association's trades academy. Trevor Cruz of the trades academy explains why trades a realistic option for high school students. "College is not for everyone so trying to give them another opportunity if they like working with their hands they want to get skilled, so they want to come to school over at the trades academy," he said.